your trustworthy source for advanced healing techniques in Salina, Kansas. If you're looking for ultimate relaxation and a healthier life, you've come to the right place. 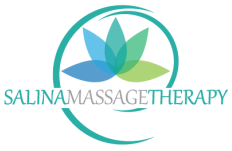 Carol and Joe Rubino, the owners of Salina Massage Therapy, are committed to your comfort and satisfaction. Massage can improve circulation, range of motion, and flexibility. It can reduce many common ailments such as stress, muscle tightness, aches and pains… even anxiety and depression. We are ready to help you relax and rejuvenate. You can find us at 1216 S. Santa Fe in Salina, Kansas 67401. Feel free to contact us any time at 785.819.4392. Become a member of our Relaxation Nation and receive 20% off your first session with Joe! You may also register to receive a Birthday gift.